The City of Johns Creek currently has over 300 communities but it all started with the original crossroad communities that existed for over 100 years. 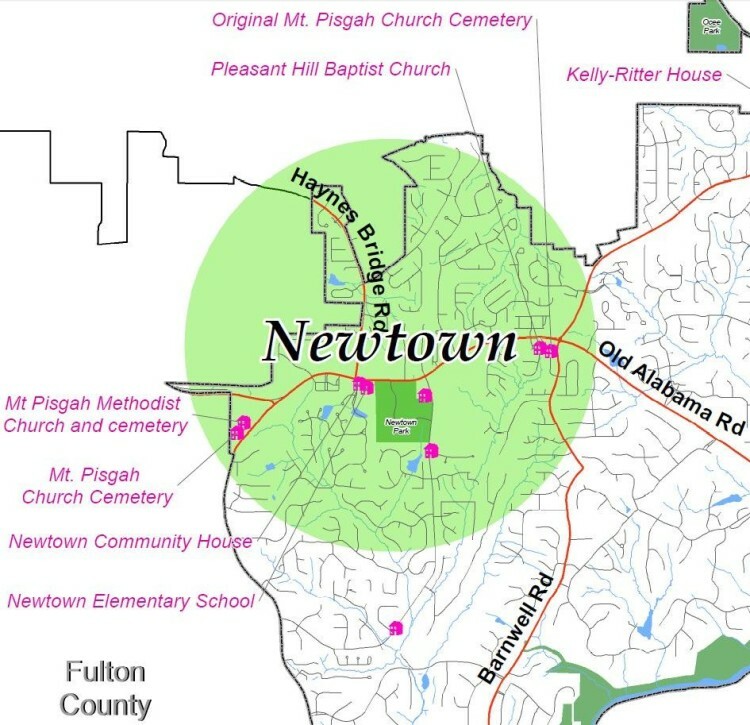 One of those communities was called Newtown. Together with Ocee, Shakerag and Warsaw, these hidden gem communities still exist and have parks, streets, churches, businesses, and buildings named after them, and are tucked within several modern traditional neighborhoods. Below is a Map location of the Newtown Community and a list of Real Estate currently for sale. It was those early communities that built the foundation upon which the City’s nearly 300 neighborhoods stand and they continue to provide an inclusive approach to making Johns Creek a quality community of safe and healthy neighborhoods.